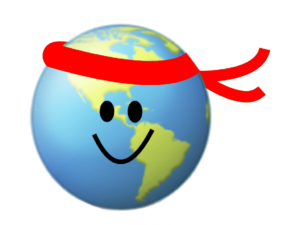 Come one, come all ninjas! 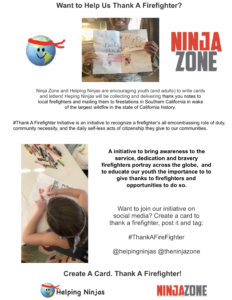 Participants bring three thank you notes to our firefighters and will get to particpate in the Ninja games at Ninja Zone on December 9th, 1pm to 3pm at Grand Park. Participants will have the opportunity to thank local firefighters in person! Click here to RSVP on ebrite. You can have the opportunity to thank a firefighter in person! 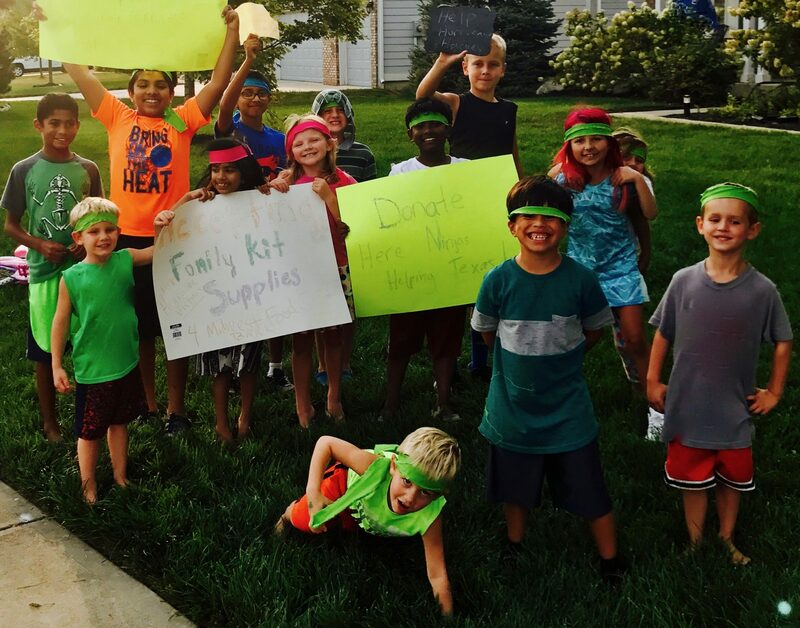 Ninja Zone is helping us collect Thank You Notes For Firefighters! 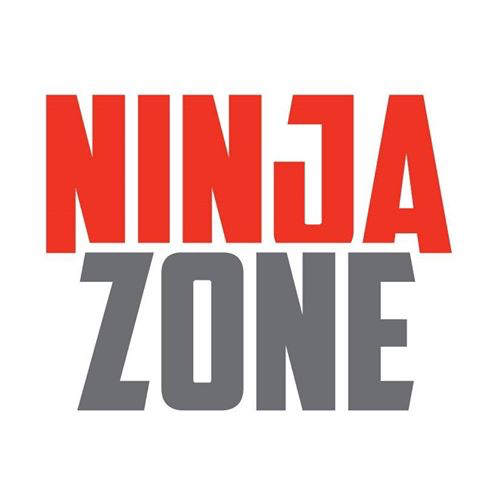 Create a card and visit Ninja Zone Grand Academy to drop off your card in our #ThankAFirefighter Card box! 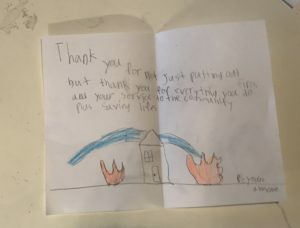 Helping Ninjas will deliver thank you cards to local firefighters and to those in fighting the Southern California wildfires. Join us and do the floss! First ever #firefigherfloss at the Ninja Zone and Helping Ninjas Thank A Firefigher Ninja Games! 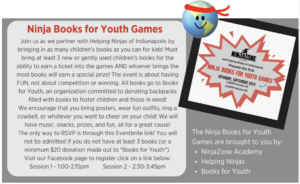 Learn about how Ninja Zone and Helping Ninjas helped foster children this year, collecting over 500 books for Indiana Foster Care Chldren at their Books For Youth Games.